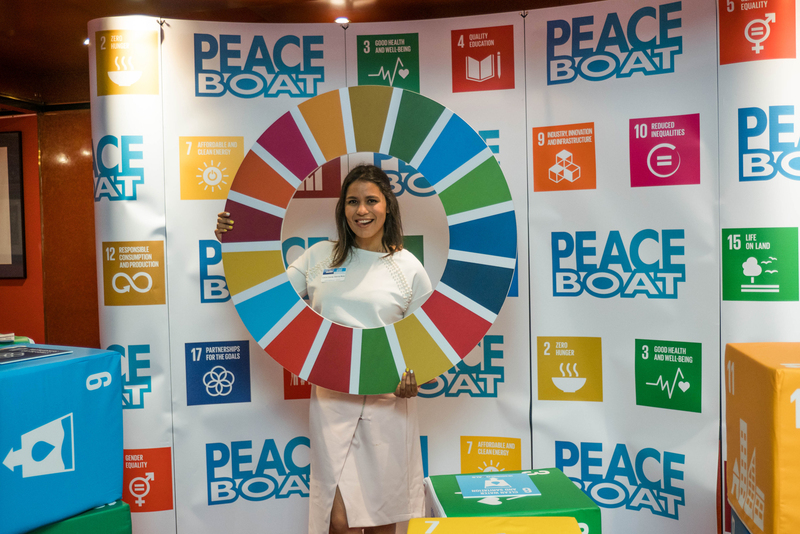 On July 12, Peace Boat’s inaugural Partnership Expo highlighted the importance of partnerships for transformation towards sustainable and resilient societies, and showcase various initiatives and commitments towards achieving the UN Sustainable Development Goals (SDGs). 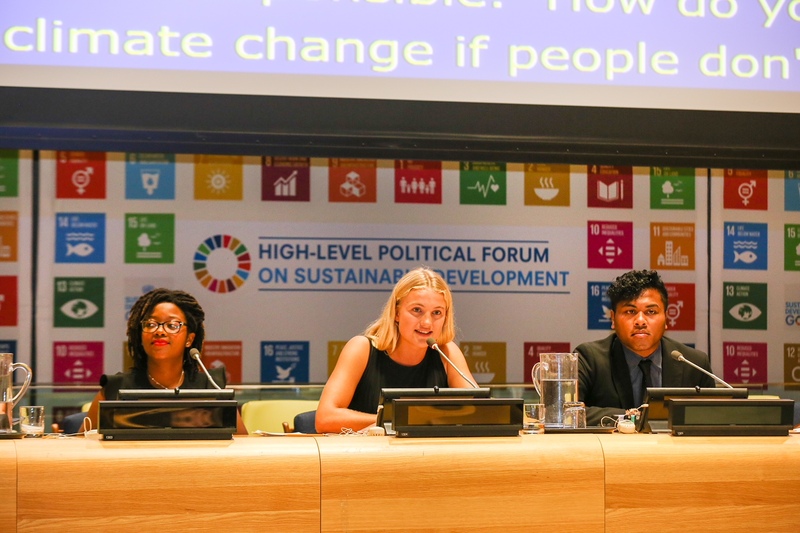 Speakers from civil society, the private sector, and the UN system described the context for the evening’s event, articulated the links between sustainability, oceans and climate, and offered examples of public-private partnerships towards achieving the SDGs. Co-organized by the UN Department of Economic and Social Affairs (DESA), UN Alliance of Civilizations (UNAOC), UN Office for Partnerships (UNOP) and the UN Global Compact, the event provided new perspectives, including from youth, on how to make the world more peaceful, sustainable and inclusive. 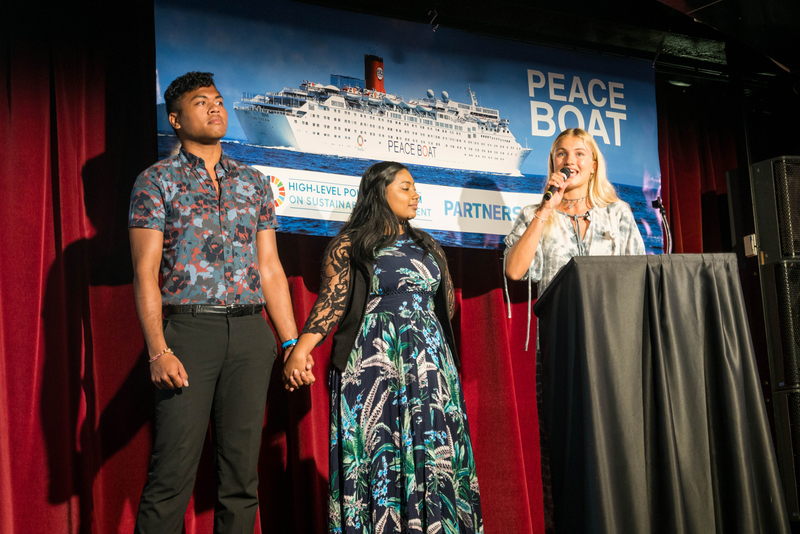 Genevieve Jiva, Fiji, one of Peace Boat’s Ocean and Climate Youth Ambassadors, described the process of a Talanoa dialogue, noting that it seeks to answer three questions: Where are we? Where do we need to go? How do we get there? These are the questions, she described, that the Youth Ambassadors address as they travel on Peace Boat to raise awareness and inspire action on the Goals. Speakers discussed current challenges, raising issues of ocean plastic, elevated greenhouse gas (GHG) emissions, poverty, food insecurity and food waste, but also identified areas of hope. 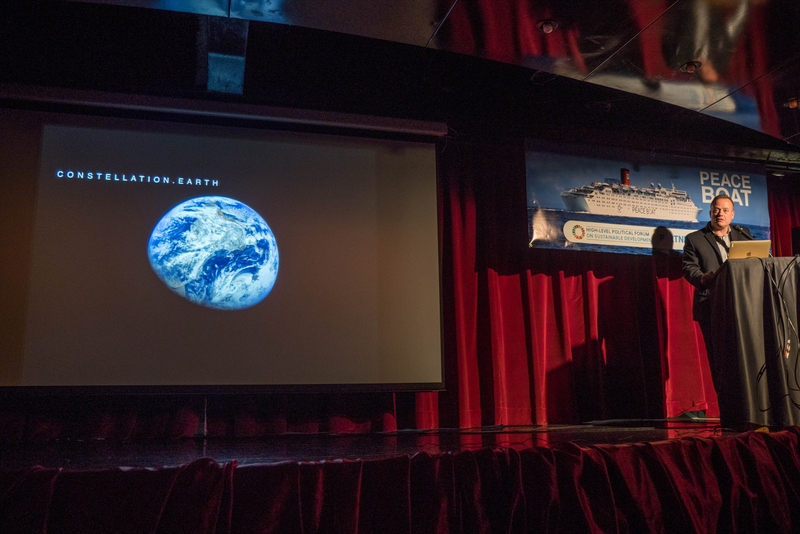 Sylvia Earle, National Geographic Explorer-in-Residence, in remarks delivered by video, flagged that more people need to know why the ocean and environment matter. 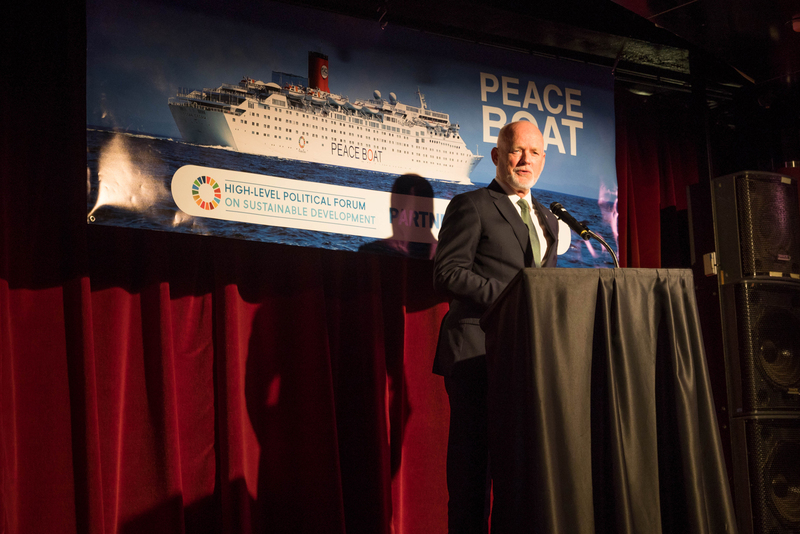 Echoing Earle, Peter Thomson, UN Secretary-General’s Special Envoy for the Ocean, noted that humanity has not been sufficiently taught about the need for action. Thomson cautioned that the world is still on a path to three degrees warming, a “dangerous uncertainty.” He emphasized the need for multilateralism, “now more than ever,” to teach humanity how to implement the SDGs and countries’ Nationally Determined Contributions (NDCs). Former Astronaut Col. Ron J. Garan described an example of a man on a horse, who, when asked where he was going, responded, “I don’t know, ask the horse!” Drawing comparisons to Thomson’s remarks, he noted that “we are one people on one planet travelling towards one shared future.” He underscored the need for a new perspective, articulating how his experience in space shifted his worldview. We as a global society, he noted, need to move from a model of fragmented nation-states that consume as if there are unlimited natural resources, to one where we are common occupants of a single planet, recognizing our finite supplies. 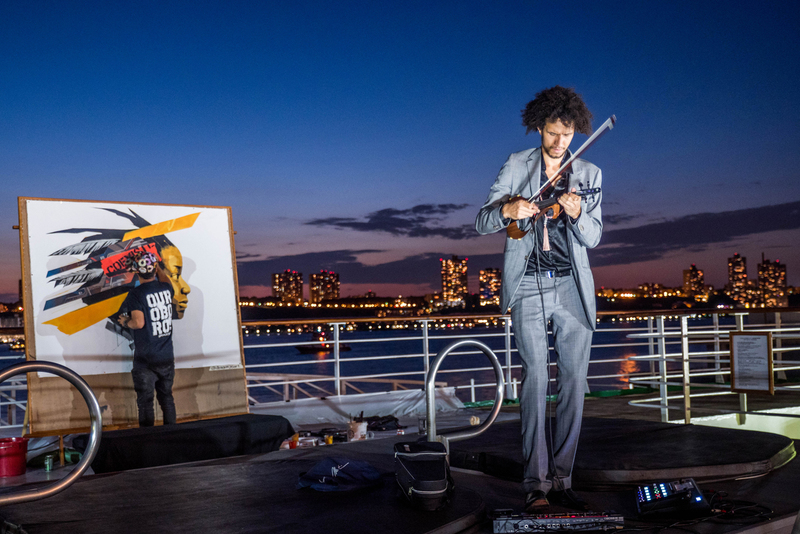 Yoshioka Tatsuya, Peace Boat Founder and Director, and Marie Chatardová, President of ECOSOC, each highlighted that without peace, we cannot achieve the SDGs. International frameworks such as the 2030 Agenda for Sustainable Development and Paris Agreement on climate change, they noted, are both a vision and a means of achieving a sustainable, peaceful world. The event also included other speakers as Cora Weiss, Hague Appeal for Peace; Andrew Friedman, AJF Financial Services, Inc; and Steven Sawhill, Discipline Leader, Cold Climate Advisory Services at DNV GL – Maritime. 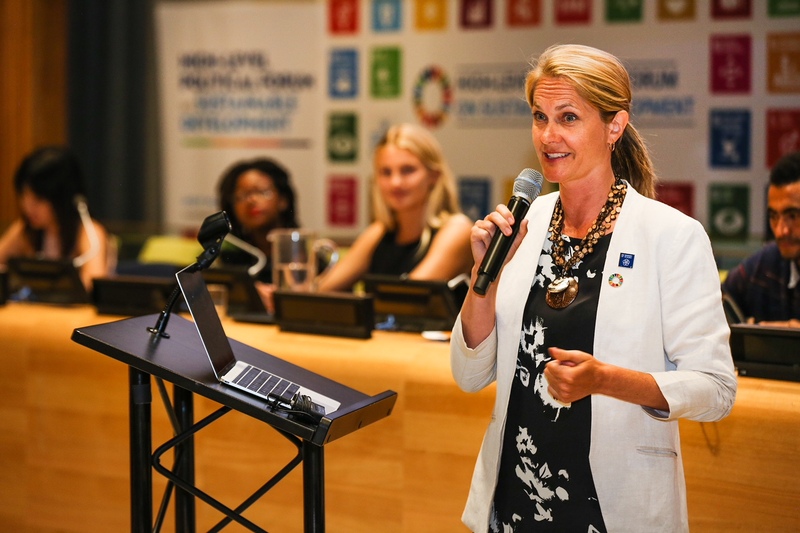 On Friday, 13 July 2018, on the sidelines of the High-level Political Forum on Sustainable Development (HLPF), the Permanent Mission of Palau to the UN and Peace Boat organized an event on global partnerships for youth engagement, education, and sustainable tourism to achieve the SDGs. 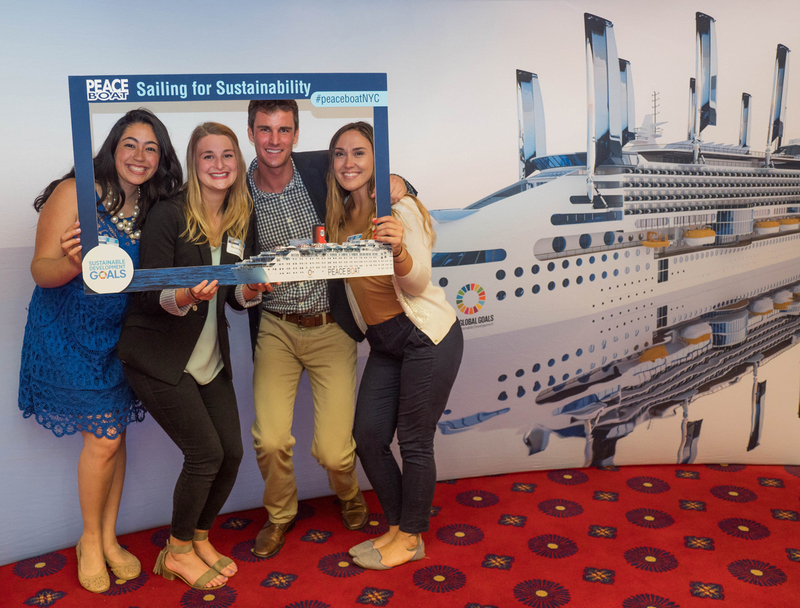 The event titled, ‘Global Partnerships for Education, Youth Engagement, and Sustainable Tourism,’ also enabled the sharing of experiences from Peace Boat’s Ocean and Climate Youth Ambassadors Programme, which was announced at the Ocean Conference in June 2017 as a voluntary commitment towards the implementation of SDG 14 (life below water). During the event, Satyendra Prasad, Permanent Representative of Fiji to the UN, expressed hope that the youth ambassadors help accelerate efforts at the UN to achieve the SDGs. 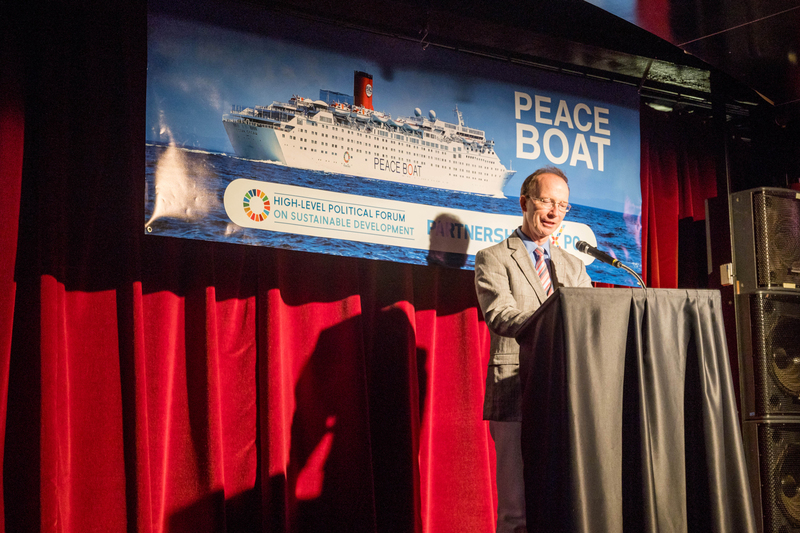 Speakers also urged the ambassadors to continue generating impacts in their countries among young people, governments, universities, and others, based on their experiences during the Peace Boat journey. Speakers also emphasized: the role of education in addressing climate change; the Ambassadors Programme as a knowledge sharing platform on climate change and ocean degradation; the need for more platforms for youth to share views and experiences; the need for the ambassadors to continue generating impacts in their countries; the importance of data and surveys that help governments understand what is happening with regard to the SDGs; and the MYWorld 2030 Survey to bring youth voices to UN conferences.